Uh-oh, it looks like someone forgot to include the “check to ensure there’s enough storage space before installing” feature in the October Windows 10 update. 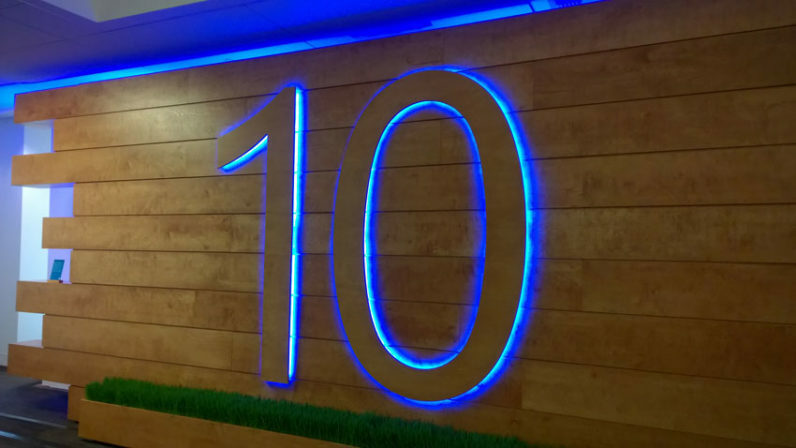 As PC World reported yesterday, Microsoft quietly published a support document indicating people who attempt to run the impending October update on Windows 10 machines could find themselves rather frustrated if they don’t have enough available storage. While, by their very nature, updates require users to have space on their storage device to download the file, it’s usually not a big deal. If you don’t have room, the installer software typically tells you to clear up some space before it runs. But that won’t be the case with the October 2018 update. On Microsoft Windows 10 systems that have limited storage space (such as thin clients or embedded systems), when you run Windows Update, the update initialization may fail. Luckily, Microsoft has come up with a brilliant solution: Make sure you have enough space. This would be a great plan, except for the fact that the company hasn’t released the file size or installation storage requirements. We’re not faulting Microsoft for that, as it isn’t set to finalize the update until next week, but it does make it difficult to plan ahead. But, past updates typically land in the hundreds of megabytes to a couple gigabytes range – so you’ll want to have five or six gigs free to just be sure. However, that’s sheer speculation: It could end up being a 500 GB monster for all we know. Access Microsoft’s built-in storage cleanup tool by clicking Start > settings > Windows Security > Device performance and health. There you’ll see the “storage capacity” category which will indicate if you’re low on space. Uninstall apps and programs you don’t use by clicking Start > settings > Apps > Apps & features. Once there selecting a program or app from the list will display an uninstall button. You can check your download, video, music, and photo folders for files you no longer need. Move media files to an external hard drive, or cloud storage such as One Drive or Google Drive. Don’t forget to empty your recycling bin. And, ultimately, until Microsoft reveals the file size, it may just be best to play it safe and hold off on the installation until you can be certain you have enough space clear. We’ve reached out to Microsoft for more information and will update this article as soon as we’re able to confirm the file size for the Windows 10 October 2018 Update.